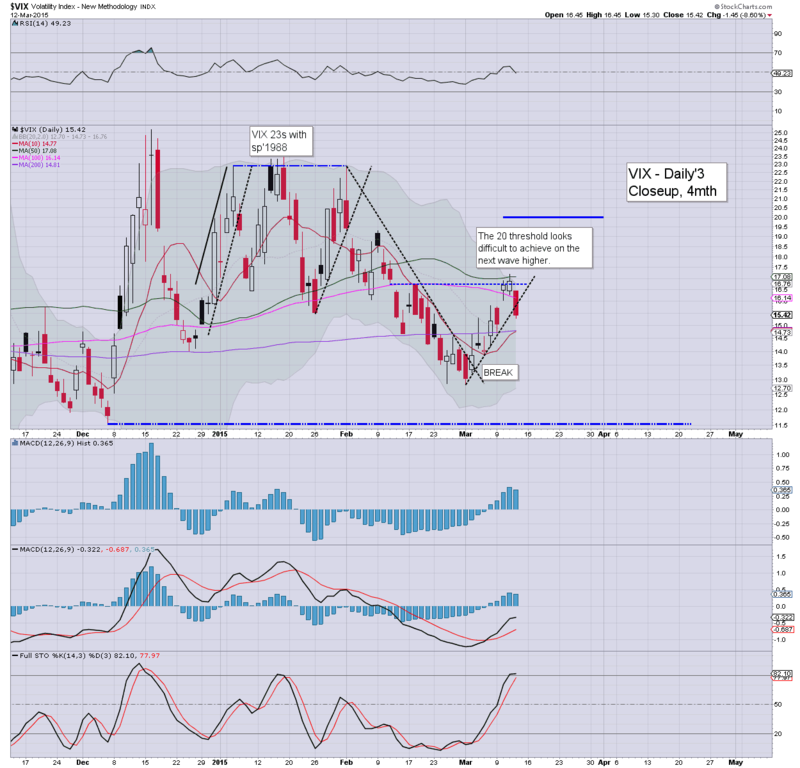 With US equities building gains across the day, the VIX was in classic cooling mode, settling -8.6% @ 15.42. 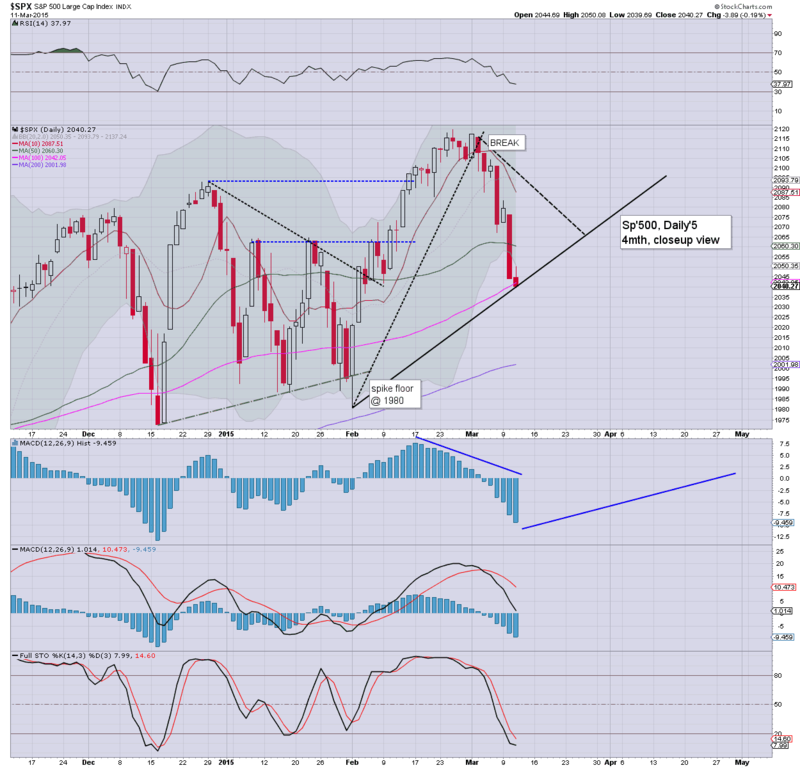 Near term outlook is for Friday gains to sp'2075/80.. and that will probably equate to VIX in the mid/low 14s. There is the threat of VIX exploding upward after the next FOMC. Suffice to say... VIX looks set for the 14s... but next week, if Yellen upsets the market... then VIX will break and hold the 17s... and then its a case of whether the next equity down wave goes to sp'2000.. .or 1940. If the latter.. then VIX in 25/30 zone is briefly viable. US equities closed with rather significant gains, sp +25pts @ 2065. The two leaders - Trans/R2K, settled higher by 1.2% and 1.7% respectively. Near term outlook offers a continued rally to 2075/80... but there is very significant risk of the market reversing from there. 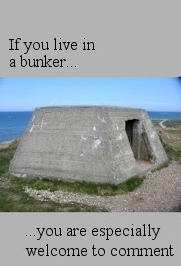 *I'm tired... so... this needs to be brief! Suffice to say... Friday looks set for further gains... but I'm guessing we'll get stuck somewhere around the daily 10MA of 2078/80 or so... where there is also a price gap. There is a real threat of sp'2000... or even 1940 by end month - if Yellen upsets the market next Wednesday... but more on that later. US equities look set to close the day with significant net gains... somewhere close to the 50dma of sp'2059. VIX is naturally cooling, -7% in the 15s. Metals are weak.. Gold -$1. Oil continues to slide -1.7%... in the $48s. Price structure on the hourly is a classic bullish F flag... bodes for 2075/80 tomorrow. re: fib retrace... the bearish outlook right now is that this is just a bounce... upside target would be 2075/80.. and then down to 2000 after the next FOMC. 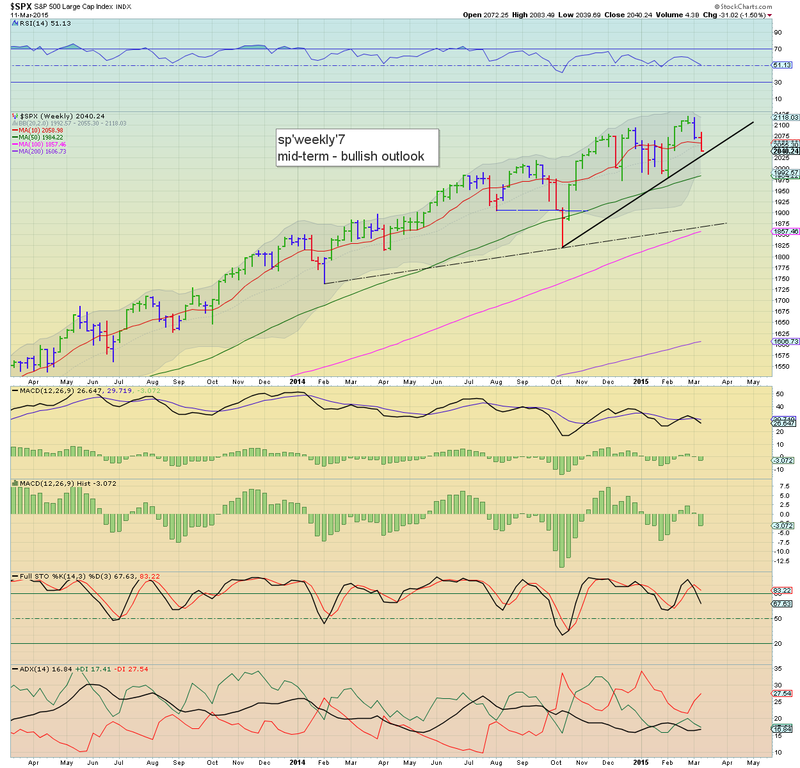 Ultra bearish case is rising support on the weekly in the sp'1940s... but I realise that sounds like crazy talk. 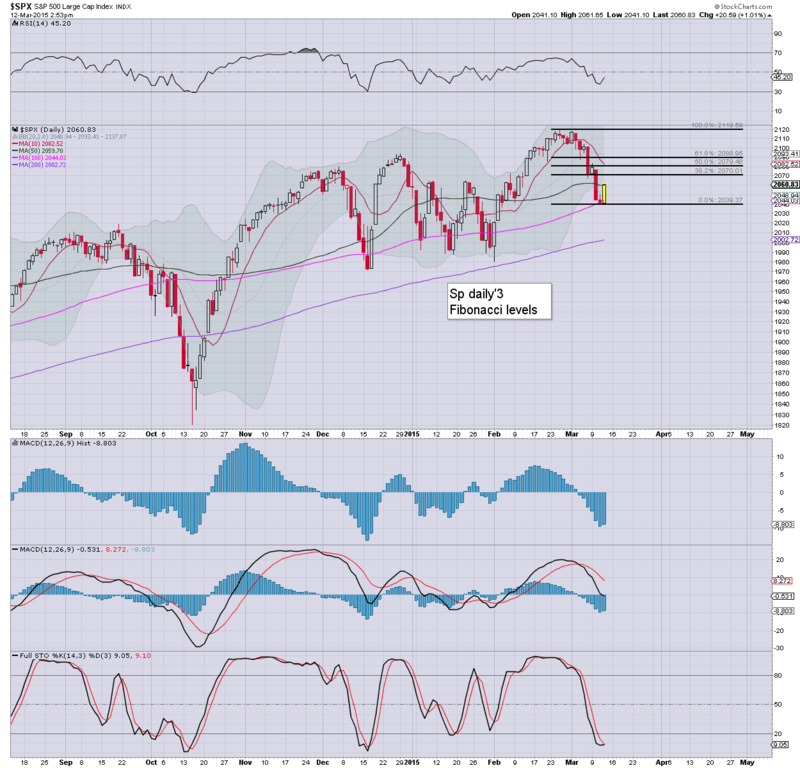 US equities are holding above the 50dma of sp'2059. 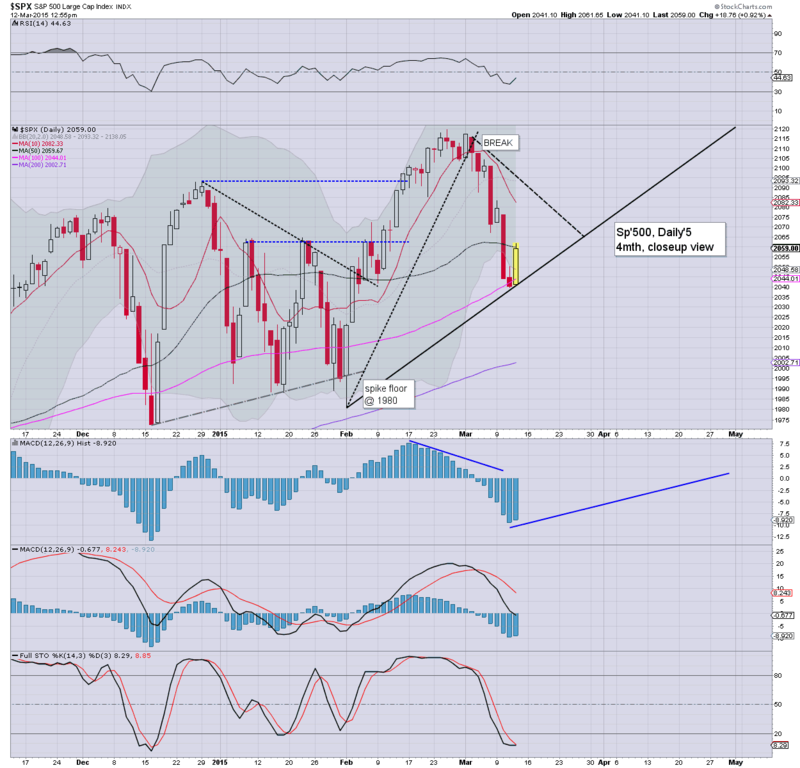 A daily close in the 2060s looks highly probable.. along with VIX 15s. Metals remain weak, Gold u/c. Oil continues to slide, -1.5%... with the $43 low in danger of being taken out within the next few weeks. Price structure on the hourly is a classic 'Carboni' F Flag.... bodes for at least 2065/70 tomorrow... perhaps 2080 on a stretch. notable strength: DIS +3.4%.... on more Marvel announcements of Star Wars ep'8 in summer 2017. US equities are holding borderline significant gains, with the sp' +0.9% @ 2058. A daily close above the 50dma of 2059 still looks probable.. along with VIX 15s. Metals are weak, Gold -$3. Oil is weak, -1.3% - despite the softening USD. Not much to add.... net daily gains look a given.. the only issue is whether we close a little above... or below 2059. I like the company, and despite the negative INTC press release this morning, STX is seeing an impressive turn around. US equities continue to build gains, with the sp'500 already breaking above the 50dma of 2059. A daily close in the 2055/65 zone looks very probable... offering 2075/80 for the weekly close. VIX is naturally cooling, -6% in the mid 15s. 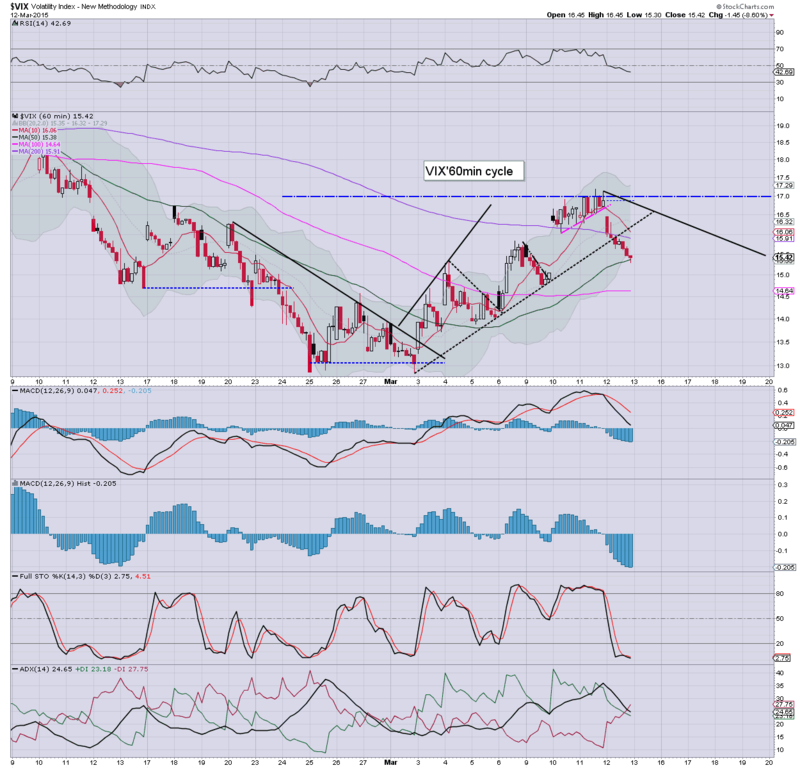 Metals and Oil are both weak.. despite a softening USD. Market looks pretty strong, and no doubt a lot of bears are running for cover... which should take us broadly higher into the weekend. 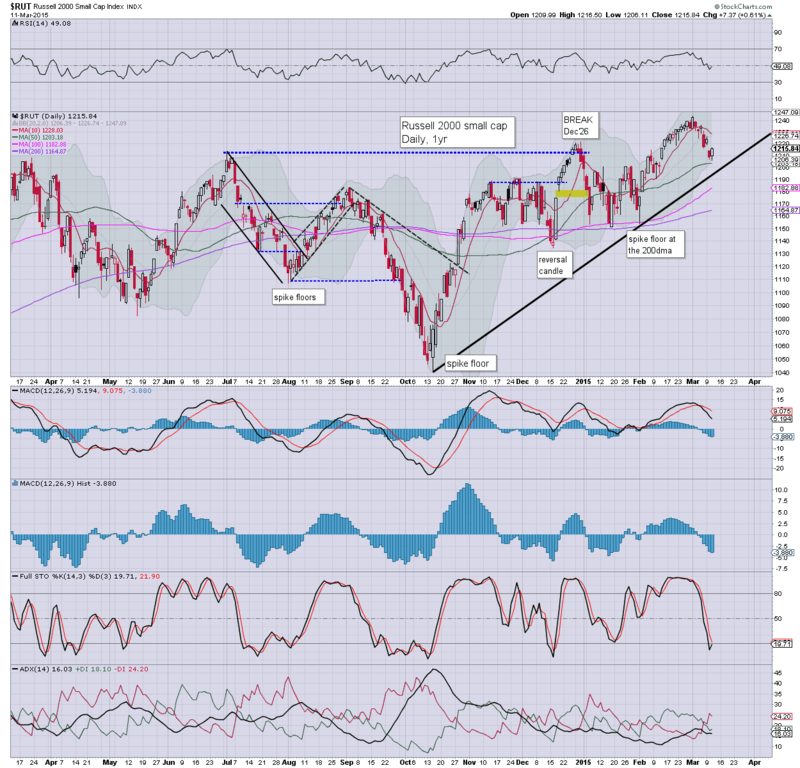 US equities are holding borderline significant gains, with the sp'500 so far hitting 2058. Renewed upside in the afternoon will offer a key close above the 50dma of 2059.. along with VIX cooling into the 15s. Metals are losing early gains, Gold -$1. Oil remains moderately weak, -0.7%. *metals remain broadly weak, and with PPI data tomorrow... Gold could break the key low of $1130 before the weekend. As for equities, sure... a little churn/chop into early afternoon, but from there.. .looks like a fairly high probability of a daily close in the 2060s... which would be suggestive of 2075/80 by the Friday close. 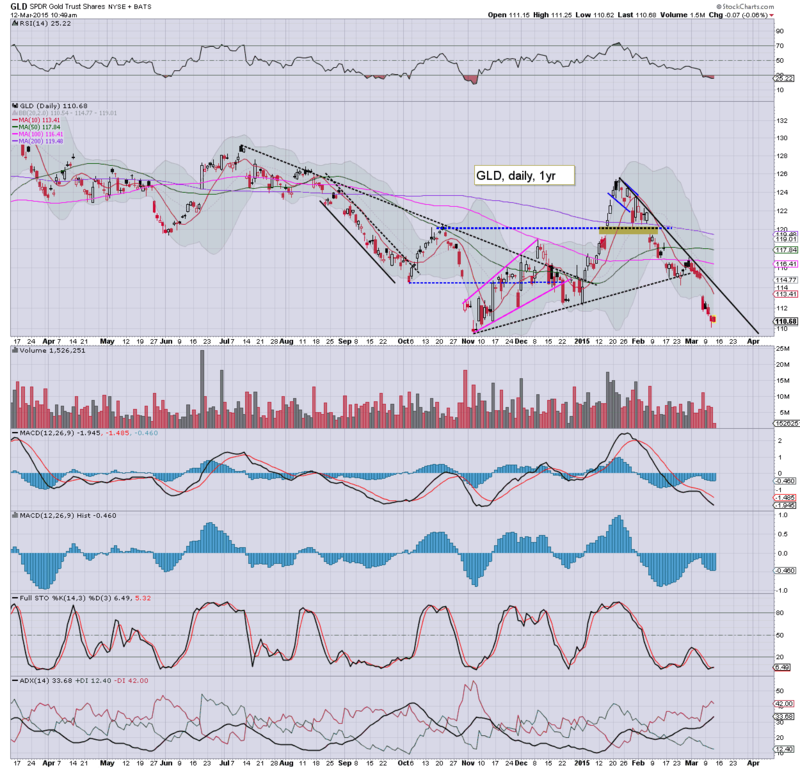 Notable strength: DIS, +2.3%.. as Avengers'2.. is another day closer. 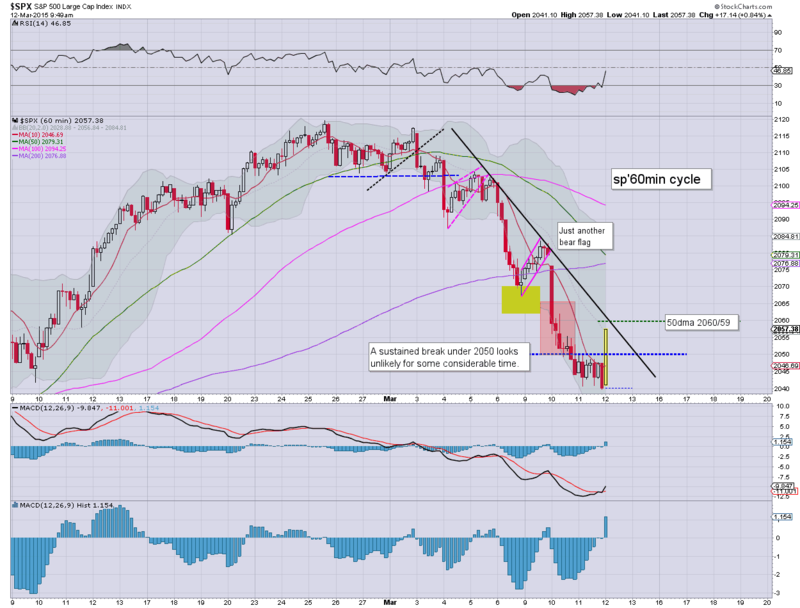 US equities are rapidly building early gains, with first soft target of sp'2050 already achieved. A daily close above the 50dma of 2060 now looks probable, with a weekly close in the 2070/80s. VIX is naturally cooling, -5% in the 15s. Metals are higher, but set to resume lower, Gold +$2. *note the daily MACD (blue bar histogram) cycle.. starting to tick upward... although it will take at least 3-4 days to get a bullish cross. So... it took a little longer than I expected.. and the market floored a little lower than the original target of 2065/60. Regardless... price action is offering some clarity... we're headed higher into the weekend. *awaiting jobs and retail data. Looks like we have chance of a key turn this morning... with the sp'2050s.. that should lead to a daily close above the 50dma.. more likely tomorrow though. A break >2060 will open up 2070/80s by late tomorrow or Monday... ahead of next Wednesday's FOMC. The real issue is whether we'll then put in a lower high (<2119)... or keep on pushing. Right now.... difficult to say... but first.... we look to at least see 2070/80s. 8.31am retail sales -0.6%..... a rather big miss. weekly jobless claims 289k... pretty good.. for that number is. Equity indexes climb a little more.. sp +8pts... 2048. 8.43am sp +9pts... we're borderline breaking the 2050 resistance..... bulls are making a break for it! 9.07am INTC lowers guidance.... partly due to currency issues... -3% or so.... stock has seen a fair few swings lately! Broadly though... its unquestionably good company. 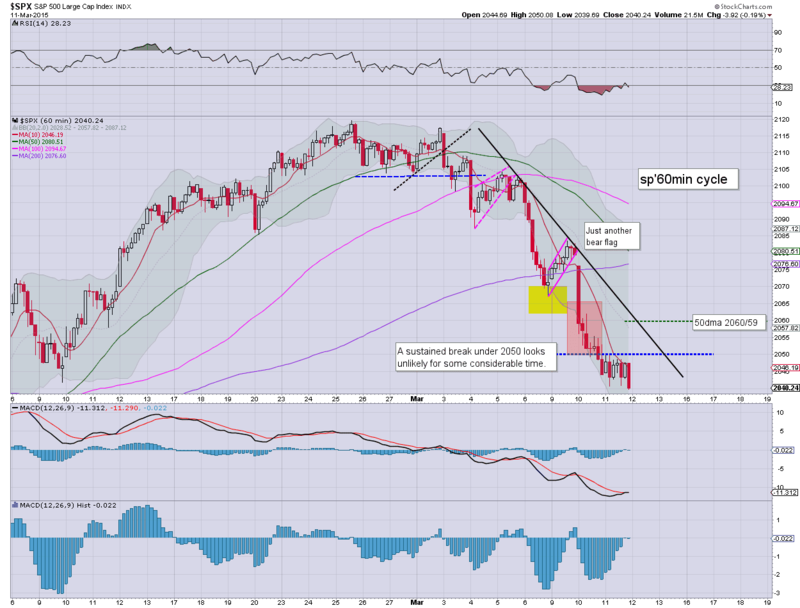 Now its a case of whether we close over the 50dma (2060)... today.. or tomorrow. 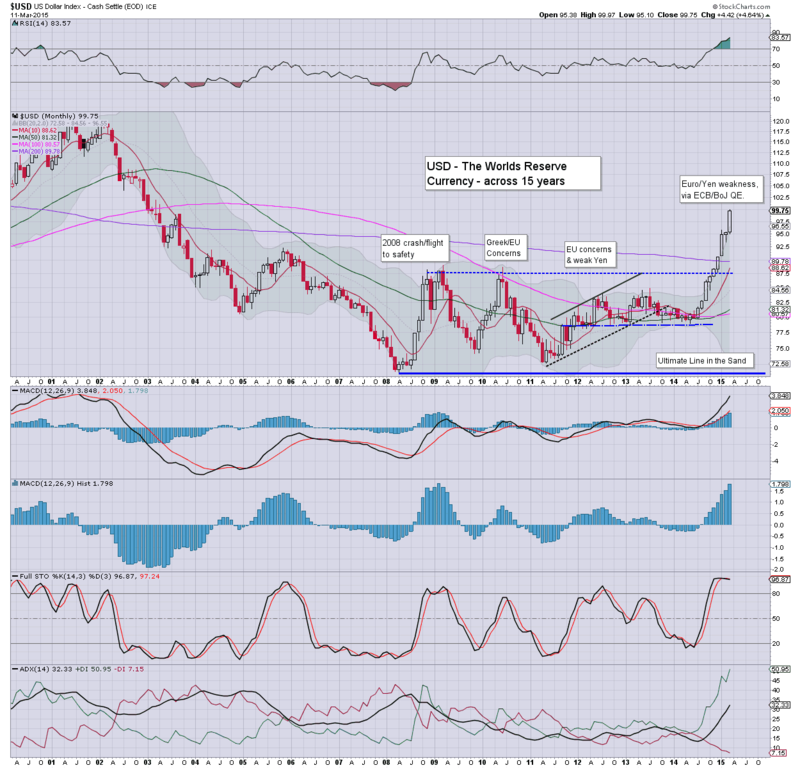 Whilst the equity market saw a day of minor chop, the USD continued to climb, settling +1.2% @ DXY 99.75. The giant 100 threshold is imminent. 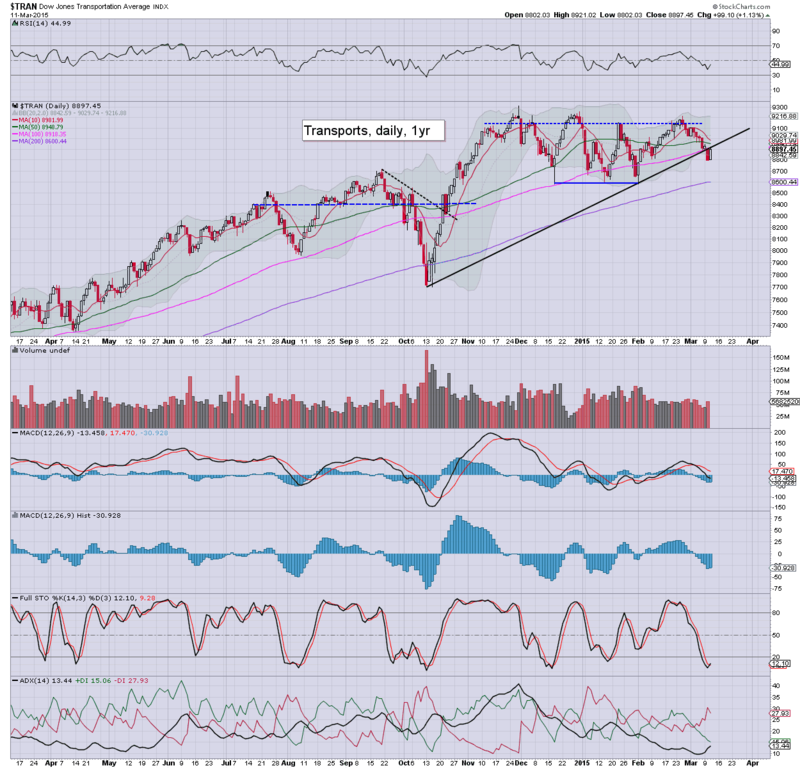 From there, a possible retracement to the low 90s, but regardless... the broader trend is for the 120s.. and then 160s. *the weekly 'rainbow' candle remains red, but will most certainly flip blue if we get a weekly close in the sp'2070/80s. As for King Dollar... I find it somewhat amusing to finally see the mainstream get twitchy as the USD continues to climb. It only took them the best part of half a year to notice the key breakout last summer. The CAC has broken above the giant 5k level for the first time since June 2008. 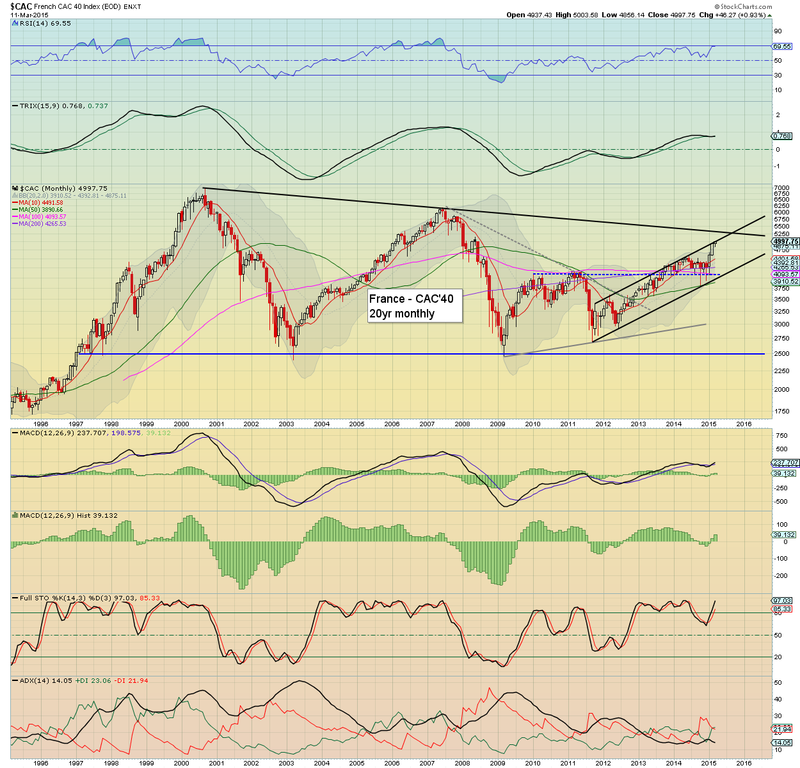 Yes, it is now at rising trend/resistance, but it'd seem a challenge of the June 2007 high of 6168 looks viable this year. The ECB QE-pomo program is no doubt going to really help the French market all the way into Sept'2016. Thursday will have an array of data... weekly jobs, retail sales, import/export prices, bus' invents, and US Treasury budget. 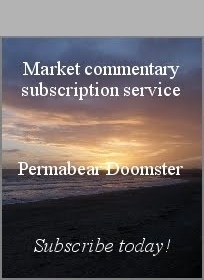 That should be plenty to give the market a kick... one way or another in the early morning. *the gains in the two leaders were especially notable today, and it bodes for the sp'500/Dow to follow upward across Thur/Friday. 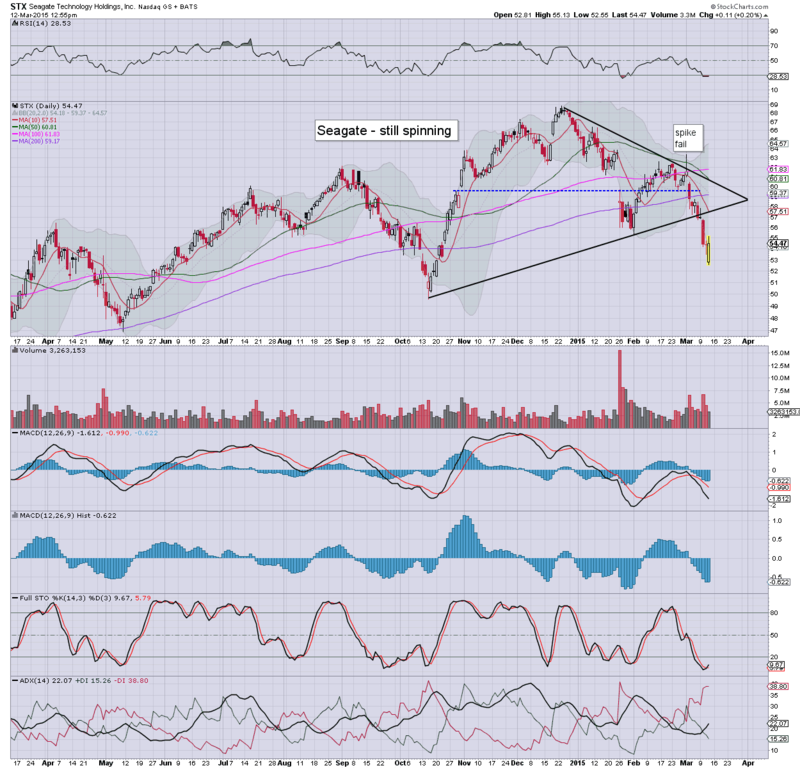 Suffice to say... we probably have a cycle low of sp'2039.. and we're set to head higher... at least for the next 2-3 days. Yellen at next Wednesday's FOMC will be highly important in whether we'll put in a lower high... or just keep on pushing upward.